On the sanctions front, Russia retaliated Wednesday for recent US and EU measures, slapping one-year bans and limits on food and agricultural imports from the countries involved. NATO said Russia had increased the number of "combat-ready" troops on its border with Ukraine to 20,000 from 12,000 in mid-July. Ukrainian forces also carried out their first air strike on the rebel stronghold of Donetsk, as they said they were preparing to liberate the city, although they also reported their highest death toll in weeks in the face of fierce rebel bombardments. 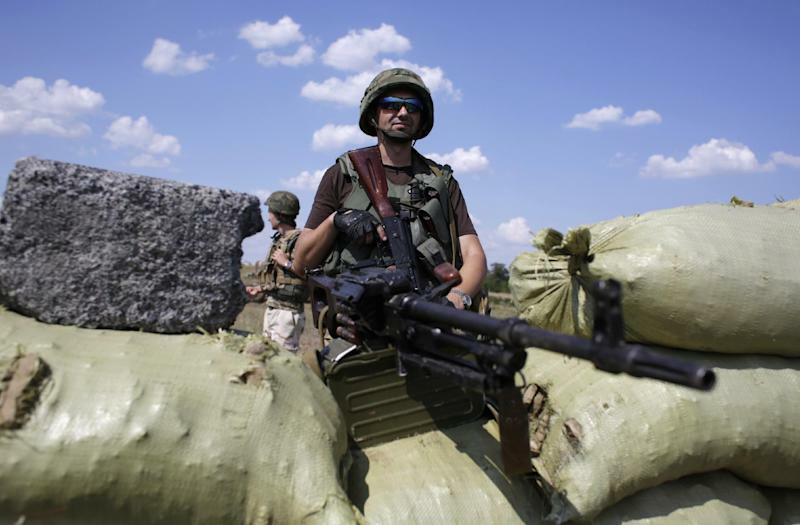 "This is a dangerous situation," NATO spokeswoman Oana Lungescu said, warning that "Russia could use the pretext of a humanitarian or peacekeeping mission as an excuse to send troops into eastern Ukraine". Poland's Prime Minister Donald Tusk said "the threat of a direct intervention (by Russia into Ukraine) is certainly greater than it was even a few days ago". German Chancellor Angela Merkel called on Russian President Vladimir Putin to use his influence with the separatists for the "stabilisation" of Ukraine. Moscow said those making the claims about their troop movements were "selling soap bubbles". "Movements of such forces of thousands of troops and equipment are not possible in such a short time," said Russian defence ministry spokesman Igor Konashenikov. Against this backdrop, Kiev said NATO Secretary General Anders Fogh Rasmussen will visit on Thursday at the invitation of President Petro Poroshenko. 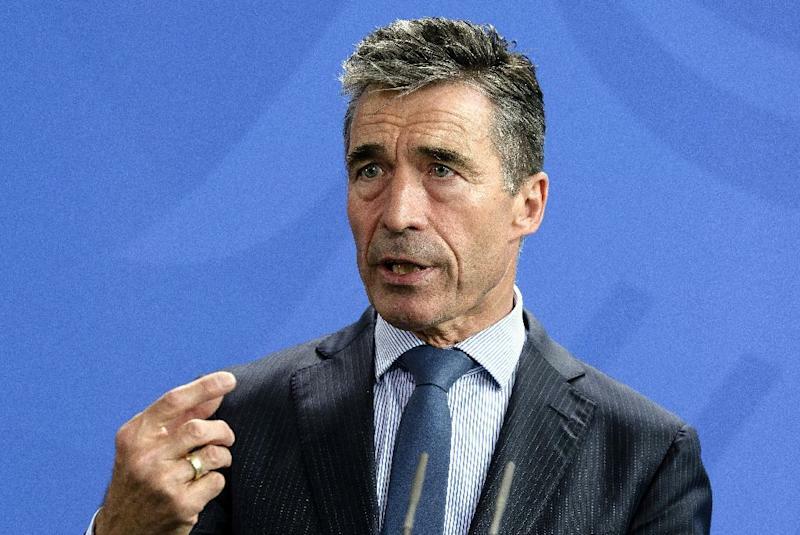 The official agenda topic is the NATO-Ukraine partnership, but Rasmussen has also ratcheted up the rhetoric lately, saying in an interview on Sunday that NATO would draw up new defence plans in the face of "Russia's aggression". Poroshenko spoke by phone with US Vice President Joe Biden on Wednesday, and both leaders expressed concern over statements emanating from Moscow suggesting a role for Russian "peacekeepers" in Ukraine, the White House said. At the United Nations in New York on Tuesday, Russia's representative deplored the "disastrous" humanitarian situation in eastern Ukraine and called for "immediate action" to help the population. Kiev quickly dismissed the offer. The West accuses Russia of supporting and instigating the insurgency in eastern Ukraine, sending tensions with Moscow soaring to their highest point since the Cold War. The United States and European Union have slapped a range of tough sanctions on Moscow, with Switzerland, Japan and Canada following suit, potentially pushing Russia's fragile economy towards recession. But Putin struck back on Wednesday with import bans and restrictions on farm products from countries that have targeted Moscow. Although Moscow has already halted some food imports from a number of European countries, it had previously denied that these measures were linked to the conflict. Russia generally imports a third of its food from abroad, according to state statistics. The list of products to be banned was being drawn up, a government spokeswoman said. Meanwhile, fighting continued to rage in Ukraine's industrial east, where Donetsk was hit by its first air strike since Ukrainian forces heavily bombarded the airport in May. Kiev denied it was behind the early morning air strike, which caused damage but no casualties. 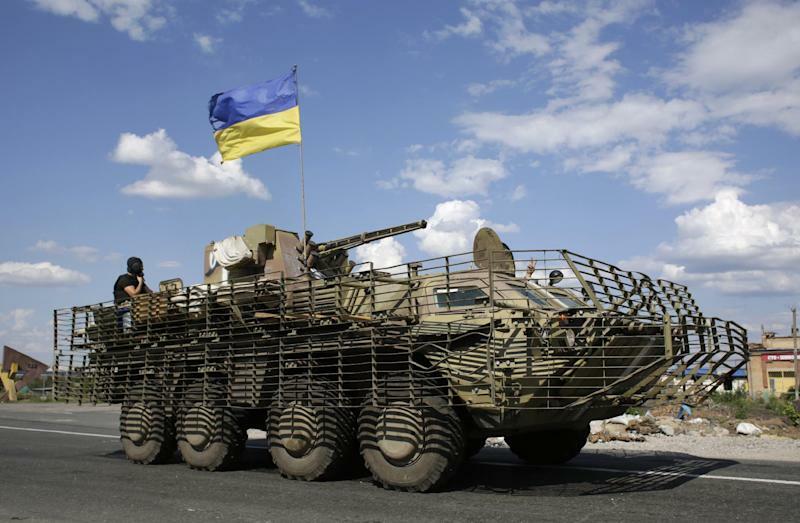 Ukraine's military has made major advances over the past month and says it has almost cut off Donetsk from the Russian border and second rebel bastion of Lugansk. On Wednesday, a spokesman for the Ukrainian operation in the east told AFP that "the noose is tightening" around remaining rebel bastions and that government forces were preparing for their "liberation". The military also reported that 18 soldiers had been killed and 54 injured in fighting over the past 24 hours, the highest daily toll in weeks. Some 1,300 people have been killed since April, according to the United Nations. Civilians have been hit hardest, with more than 285,000 fleeing their homes over the past few months, according to the UN refugee agency UNHCR, which warned of "a massive exodus" if fighting intensifies. Local authorities in Lugansk said there was still no power, running water, phone connections or fuel on Wednesday, while food supplies were running low and rubbish disposal was becoming a growing concern. Tensions soared following the July 17 downing of Malaysia Airlines flight MH17 over Ukraine, killing all 298 people on board. The United States accuses the rebels of attacking the passenger jet with a missile supplied by Russia. International investigators have been combing the vast crash site for clues and body parts over the past week, but they were forced to suspend their work on Wednesday due to shooting in the area. "We have to stop the mission at this point, but we'll continue as soon as the situation allows," Dutch Foreign Minister Frans Timmermans said on his official Facebook page. Dutch police leading the mission appealed to the local population for further help in recovering remains and belongings of the victims of the downed flight. In Australia, flags flew at half-mast Thursday during a national day of mourning for those killed in the MH17 crash.